My Favorite Things has session two of the Summer School this week. The Lesson #6 is about color theory - Gallon/Quart/Pint. This is my card I created for the lesson. 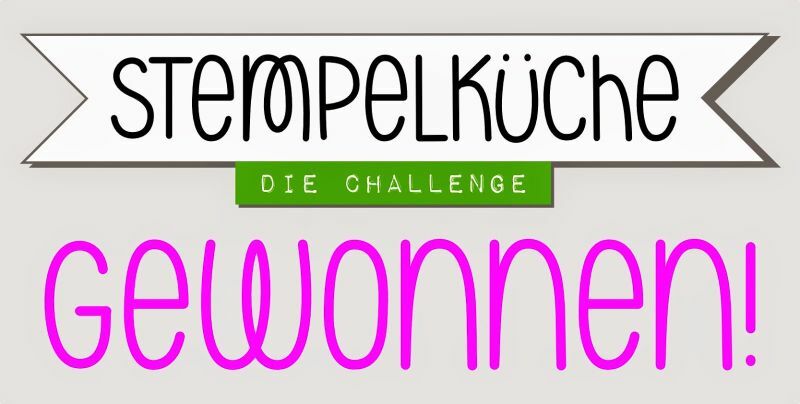 I was inspired by Yana Smakula. 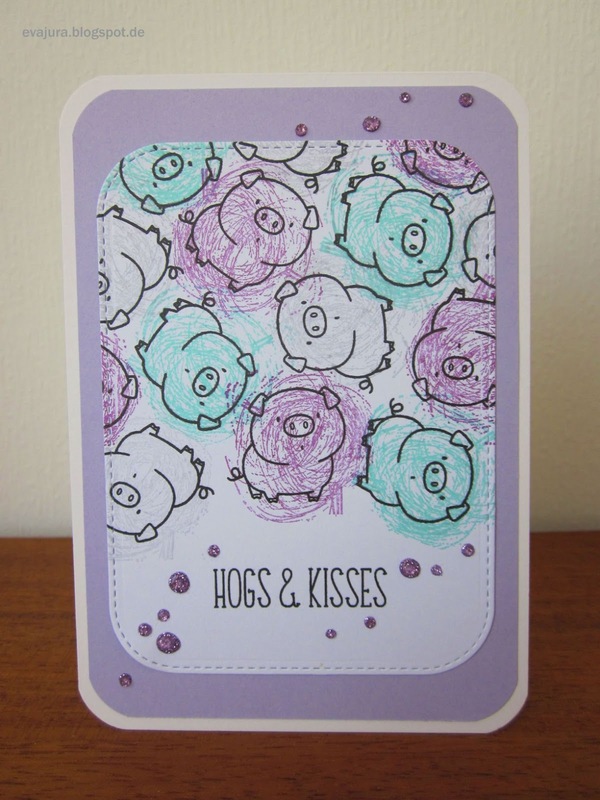 She used solid shapes to color her stamped images. I discovered that I don't have any stamps with solid images, so I used a stamp from LaBlanche that had the best size and was the most solid I could find. 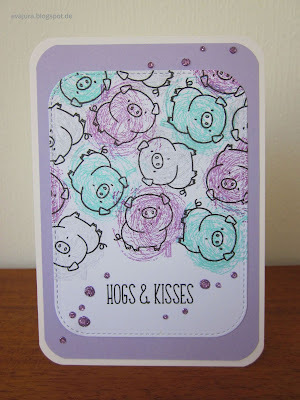 The adorable piggy is from The Whole Herd stamp set by MFT. 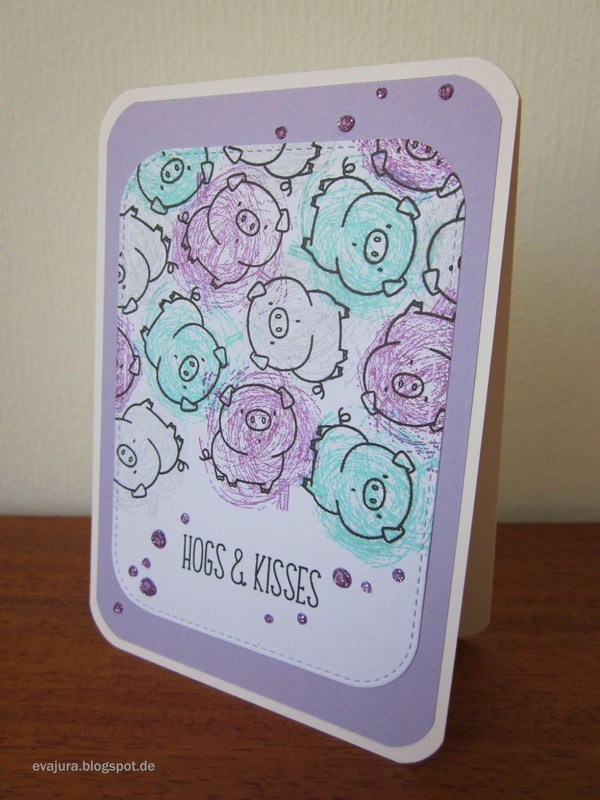 I used three different inks from Hero Arts to "color" the cute images.